After a nearly ten-year hiatus, I start my first venture back into life as a recording artist and this is what I get: Fans and friends from a dozen countries reconnecting through the Brave New World of Social Media, press and radio support from all over, star pals like Suzy Bogguss and Lee Roy Parnell and Delbert McClinton coming over to sing and play music with me, and a fully funded album project! 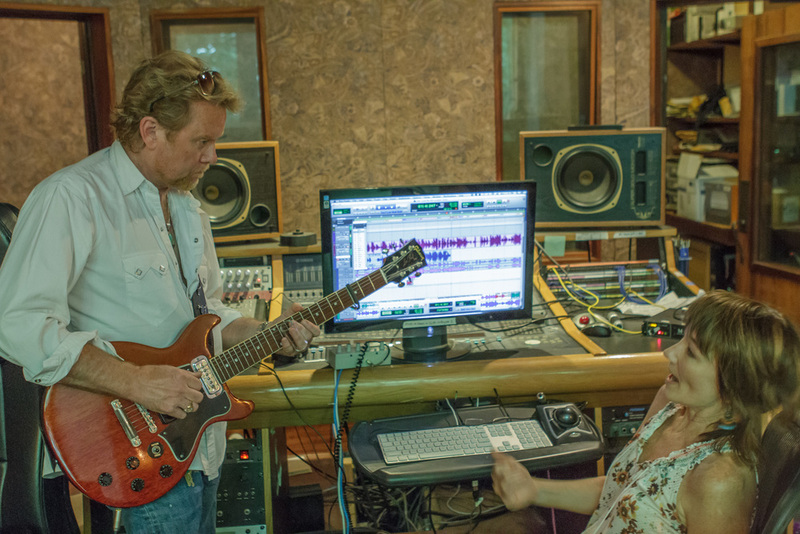 Suzy Bogguss in The Holler with Lari recording vocals for "Wishes." Thank you. As backers of this effort, you have all shown great generosity and EXCELLENT taste, and my highest goal is to give you a music experience that moves and entertains you, and above all makes you glad to be human. Some of you will be starring in a YouTube live video with me, some staying in my Nashville bungalow and going backstage at the Grand Ol’ Opry, and all of you will be receiving hot off the press the Old Friends, New Loves Kickstarter Exclusive Double EP package before the dog days of summer are over! Lee Roy Parnell cuts some slide guitar on "Lead Me Not." I’m thrilled to be able to share this process with you, and I look forward to hearing from you throughout the making of the music. I leave this Sunday to go on a two-week camping trip with my family, so I will be off-the-grid for awhile, but early August will find me back in the Holler, burning the studio candles at both ends to finish the project before my fall tour starts at the Big Barn Dance in Taos New Mexico on September 9.